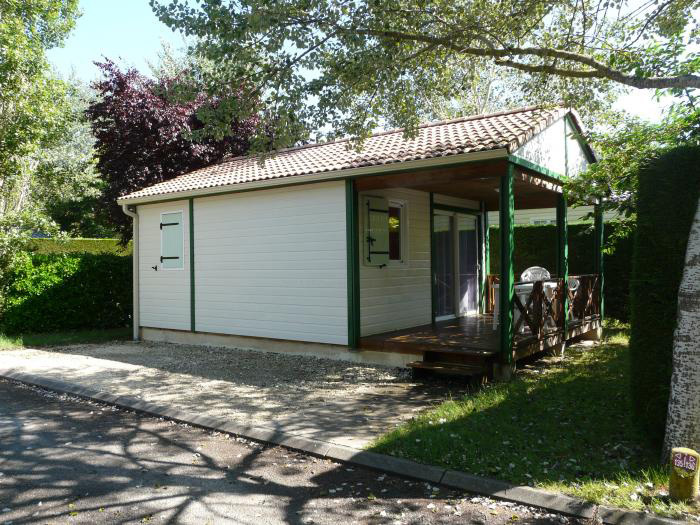 Rental : Chalet Fabre 4 pers. 2 bedr. Chalet Fabre 4 pers. 2 bedr. 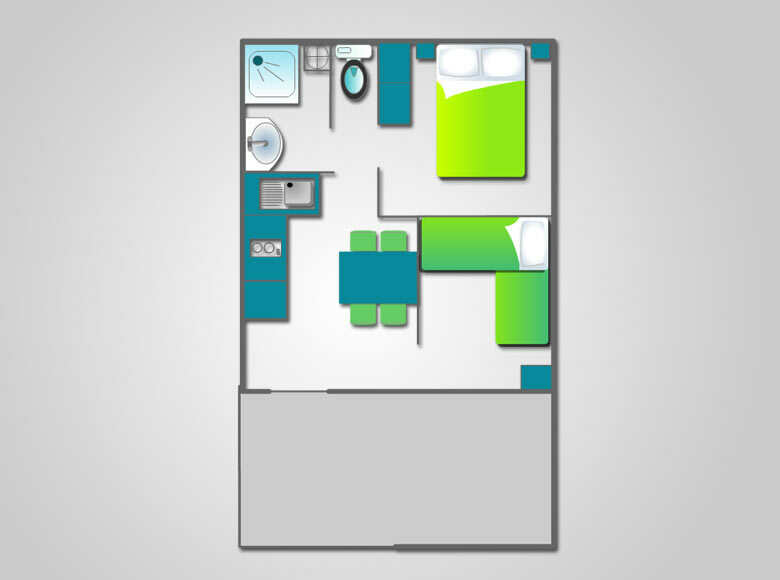 1 bedroom with 1 double bed; 1 bedroom with 2 single bunk beds, electric heating; living room with equipped kitchenette: gas stove 3 gas burners; sink; fridge; microwave oven; shower, sink, WC in shower room; wooden terrace with garden furniture and parasol. TV included. Deposits : equipment deposit (€180), cleanliness deposit (€50) and barrier card deposit (€20) for a total of €250. FFCC insurance fee (in case of cancellation, interruption of your stay, various assistance) : €32.50 (NOT required). Deposit : at the moment of booking, you are required to pay a deposit of 25 % of the total amount of your stay + booking fee 15 % (NON-refundable).